Founded in Orange County California by former professional surfer Don Craig, OGR started with a single bumper sticker inspired by the wisdom and advice of Don’s father, Doug. 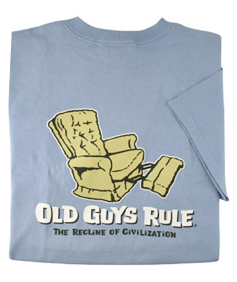 In 2003 OGR began selling its retail wares and they have been a popular brand, worn by old guys of all types ever since. Honor your dad, or dad-figure with an OGR T-shirt this father’s day!